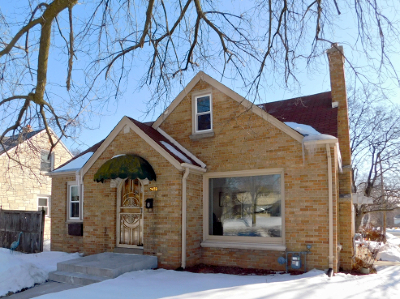 Warm and welcoming three bedroom brick cape cod in convenient West Allis neighborhood features lovely formal dining room, terra cotta crown moulding, built-in curio cabinets, natural fireplace, and bayed kitchen window. Wonderfully maintained with newer windows, landscaped retaining wall and covered facia and soffits. Spacious living room from arched entry foyer offers sun filled afternoons from full-sized picture window. Lower level includes laundry facility, workroom station and open recreation center. Enjoy summer patio for outdoor entertaining plus excellent two and a half plus car garage. An opportunity you shouldn't miss.